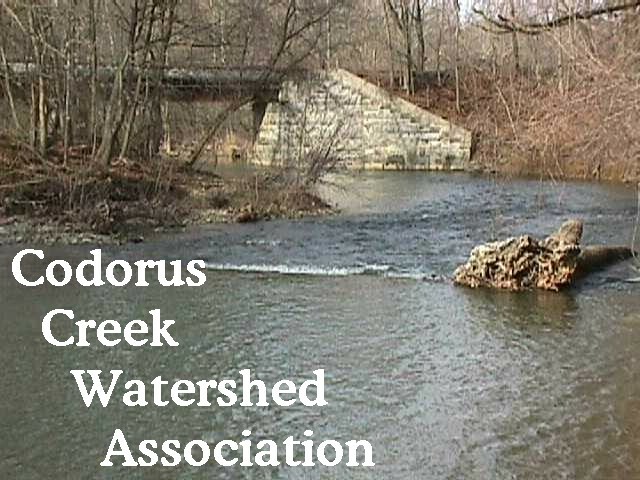 Mission: To restore, sustain, enhance, and protect the Codorus Creek Watershed and its environs as a living resource for future generations and as a habitat for bio-diversity. February 18, 2003 @ 7 PM. General Meeting at Susquehanna Commerce Center. W. Philadelphia St: Building Next to Codorus Creek. 6th Floor Conference Room. Thank you Stock & leader!